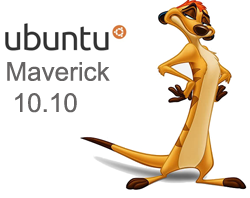 How to install Unity in Ubuntu Maverick 10.10? because in Ubuntu 11.04 version, Ubuntu will use the desktop instead of Gnome desktop Unity Shell. One of the reasons why Ubuntu is moving to Unity, while Canonical participate in the development of Gnome Shell, they found that Ubuntu’s vision for the development of different interfaces with the Gnome desktop Shell. Therefore, Ubuntu decided to develop Unity. This unfortunate action by the Gnome community. But Mark Shuttleworth said that competition will increasingly fierce Linux distributions and therefore Ubuntu decides to appear “different”. Although “different” Unity is still using the Gnome Desktop as its base. And Unity will continue to use Compiz as desktop effects, and this is exciting news for Compiz, since Gnome Shell no longer use but Mutter as Compiz desktop effects. In conclusion, the Gnome desktop 2 is still the most to provide comfort to users. Unity’m still far from satisfactory, even when compared by Gnome Shell, Unity now it fails to give a sense of comfort. 1. Is Unity will use the Global Menu? Yes. Ubuntu will use the Global Menu. Global Menu is a menu that runs the application will blend with the top panel. 2. Is Unity Launcher will be able to perform Auto Hide? Yes. As in the Gnome 2 where the panel up / down to the auto hide, then Unity will also be able to do it. 3. Does Unity support ALT + Tab? 4. Is Unity will be able to use Gnome Applets? No. And Gnome Shell was not. 5. Does Unity will have a different theme? Not yet decided, but the intention is already there. 6. Whether the user can select the Desktop in addition to Unity? Yes. If the hardware does not support Unity (3D), the available options Gnome Desktop (2D).